IMPORTANT: If you are experiencing a crisis or emergency, call 911. 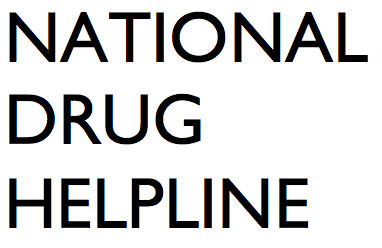 Our hotline is NOT a crisis hotline or suicide hotline. Call 911 immediately. Are you worried you might be struggling with a mental health issue? Something just doesn’t seem right. You have a feeling it may be a mental health condition, but you aren’t really sure. You want answers, but you are not sure where to turn. Or maybe you are worried about a loved one. Has someone you care about started acting different? You want to find them help; even find a way to talk to the person about your concerns. You just don’t know how. Mental illness is an often misunderstood condition. It affects the way a person feeling, thinks, and behaves. It can strike just about anyone at any time of their life. Sometimes, without warning. Even in these modern times, people still have stigmas about those with mental health conditions. Sadly, this makes some people reluctant to seek help. By calling a mental illness hotline, you or a loved one gets a chance to find resources and information when it is needed most. IMPORTANT: If you think that you or someone you know is a danger to self or others, please call 911 for immediate assistance. While a mental health hotline is a great resource for treating mental illness, acts of violence against self or others need to be addressed immediately to keep everyone safe. If there is no immediate threat to one’s well-being, but you are still concerned, a mental health helpline gives you access to answers. Every person is different and each condition has its own set of symptoms. Even if you are just looking for information and you don’t know where to turn, these hotlines are a valuable resource. IMPORTANT: If this is an emergency, call 911. Do not call our helpline. If you’re like most people, you probably don’t know how to handle a mental health disorder on your own. Calling a mental health hotline gives you access to professionals who understand what mental illness is and the best way to get help. Finally making the call to a mental help hotline number can be an emotional experience. You may be scared because you’re not sure what is going on with you. Or you may feel emotional, because you’ve already gone through so much with your or your loved one’s mental health struggles. You may even feel relief because you finally decided to seek help. All these emotions are normal. The hotline staff have extensive training not only with providing you information, but also being a supportive, empathic ear during an often difficult call. Early interventions often save big troubles down the road. By calling a national mental health hotline now, you take a brave step in returning to the life that seems to be slipping away.